Voice Studio- [email protected] for additional details and registration. 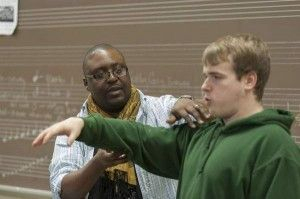 Private vocal instruction for high school students through adults. Lessons range from 1/2 hour to an hour depending on age and skill level. Dr. Gerald J. Blanchard has built up an extensive teaching practice drawn from many years of experience as a performer and years of extensive training as a pedagogue. Fundamental to this is the principle that the student, whatever the level, must be given the facility to teach themselves, and to understand the processes necessary to play and to perform ("The Singing Actor").